The crappie were in brush piles 6-15ft deep. 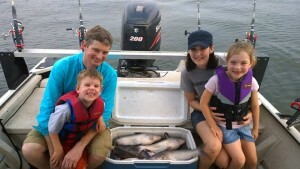 We did best fishing about 6ft down. 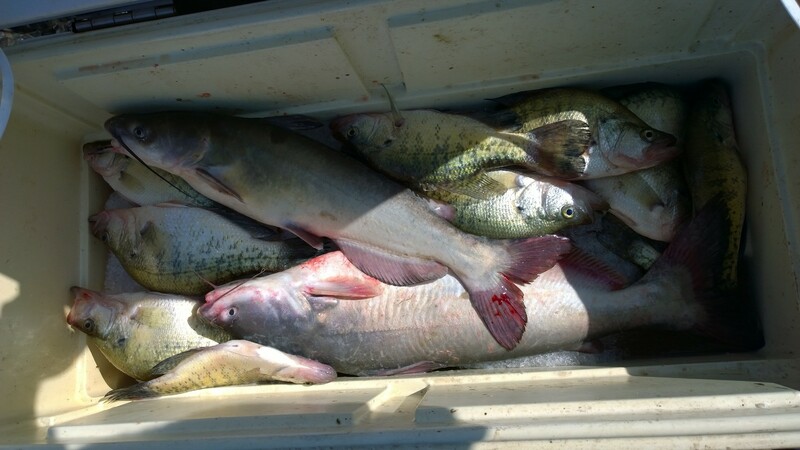 The blue catfish were scattered on mud flats 6-12ft deep. Kept a few for a friend a dinner or two. Learning how to target blue catfish on Grand Lake in Oklahoma. Today, I took two new customers, Brandon and Donnie, on a teaching trip at Grand Lake for blue catfish. We started out learning the patterns of gizzard shad and how to throw a cast net. After they got rid of the taco’s and found the pancakes, we ran to a shallow water flat where the wind was blowing in. It was fish on and rods slamming for about an hour. It slowed a little and we came back to the realization this was a trip to learn not catch so we pulled anchor and set off to learn drifting. We marked some fish in 12-18ft of water and set up a drift. Lots of taste testers, but only hooked up with a couple drifting. Sonar time! We spent a good portion of the trip going over tips and techniques with the HDS 12 and seasonal patterns of blue cat. To end the trip we went to a deep water flat 25-40ft and completed the day with a couple of doubles dragging baits and learning how to control the boat with the MinnKota. These guys were great and were like sponges soaking up the information. Good times!!! 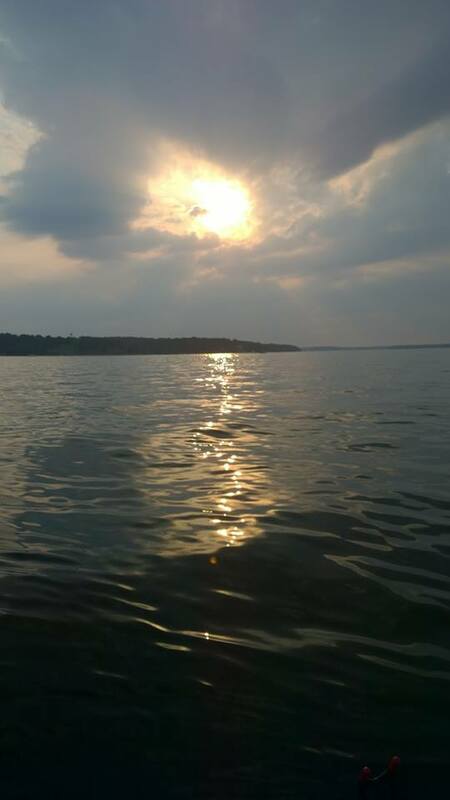 I had a group of guys from western Kansas this evening fishing for a blue catfish trip on Oologah Lake in Oklahoma. We started out dragging at 12-25ft getting tons of bites…nibbles…swim with it taking a taste test, but very few hook ups. The bite was really soft and some of the fish were good size. About an hour before dark we decided to hit the shallows, less than 2ft, on a windblown bank. Hammered some good ones and missed several in the last hour. The fish in the shallow water were definitely there to get their feed on!!! We’d see the fish blowing up on top before the seeing the bite on the rod. This caused my customers to lose several, but they got an adrenaline rush watching the big cats exploding the water!